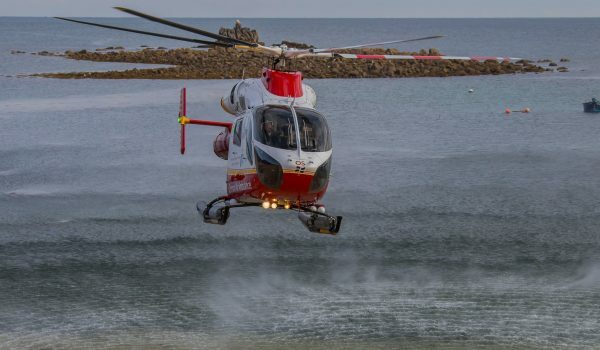 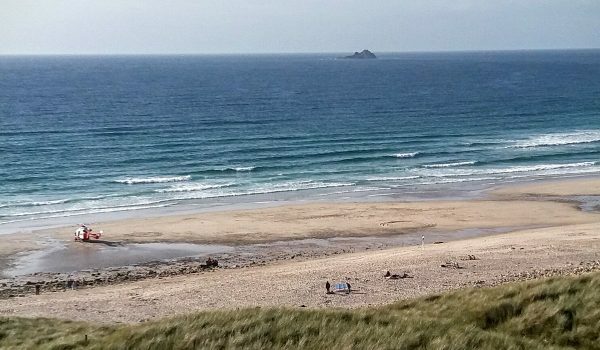 Cornwall Air Ambulance was called to Sennen Cove twice in one day during August 2016. 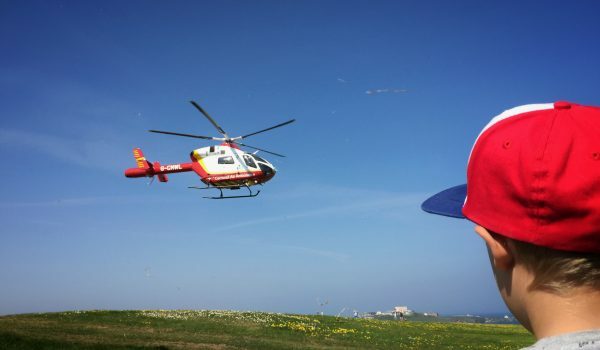 We frequently work with other emergency services. 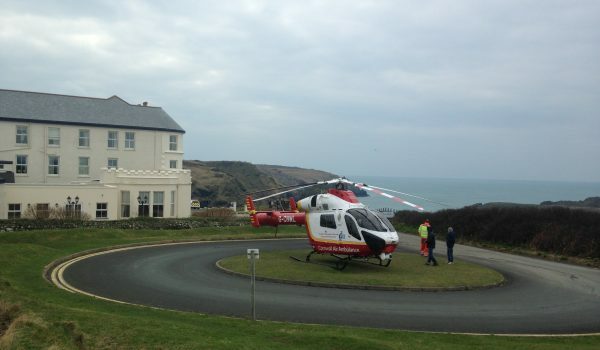 A difficult place to land to treat a walker who had broken her ankle on the coast path in August 2016. 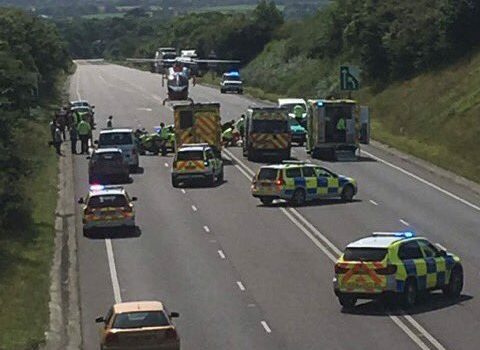 Attending a road traffic collision on the A30 during summer 2016. 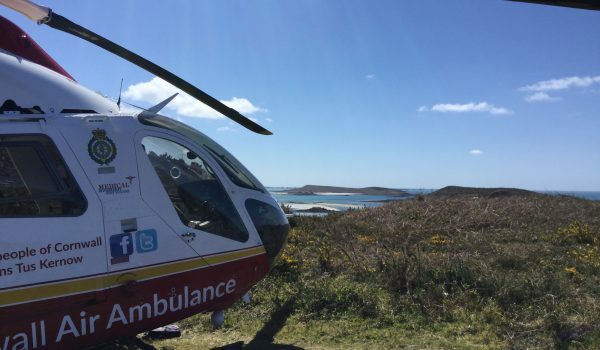 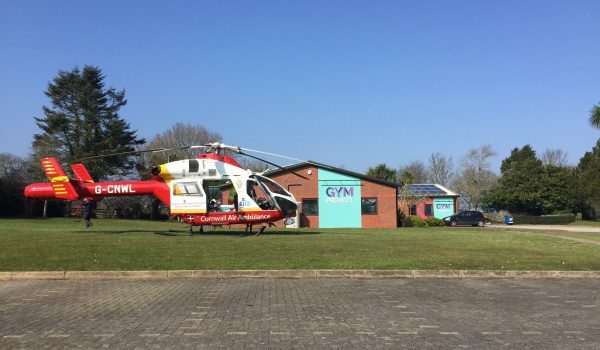 In April 2016 Cornwall Air Ambulance flew to Tresco in the Isles of Scilly to treat a visitor who had fractured her ankle and flew her to Royal Cornwall Hospital in Truro. 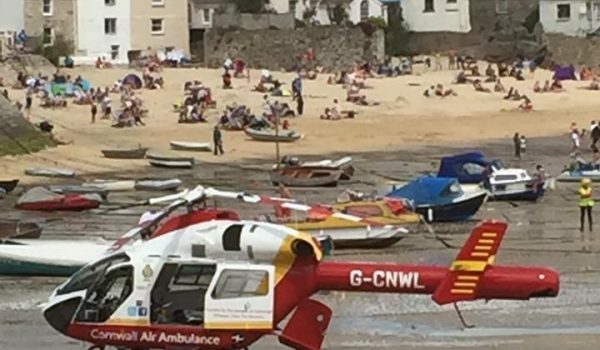 Tasked in July 2016 to St Ives to treat a young woman who had fallen from a harbour wall. 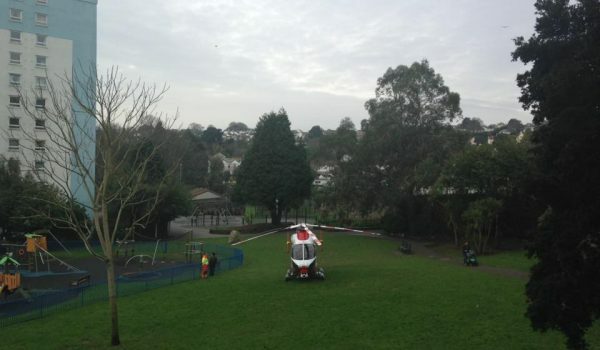 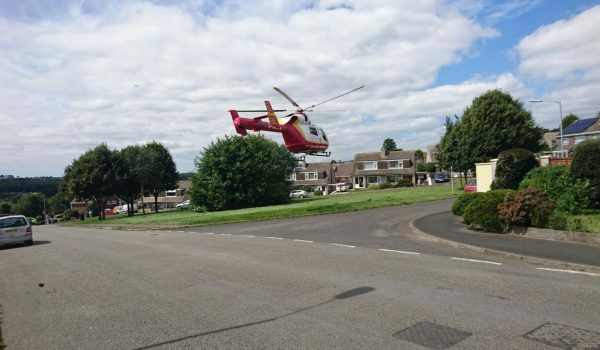 Treating a person who had suffered a fall before flying the patient to Derriford Hospital. 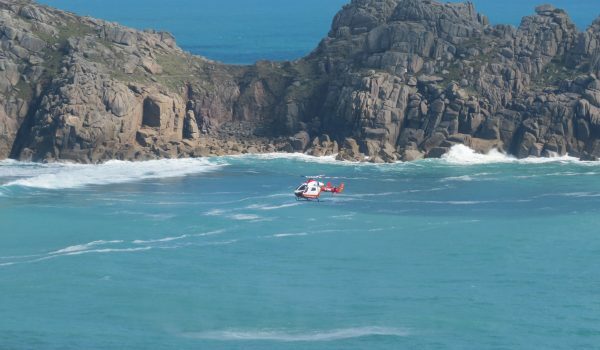 A paraglider collided with a cliff at Porthcurno in April 2016. 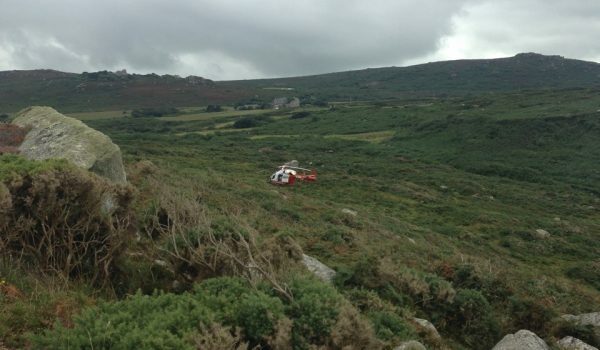 Cornwall Air Ambulance flew to his aid along with Search and Rescue (SAR). 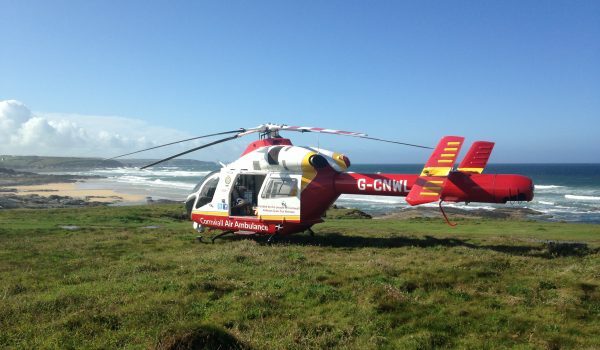 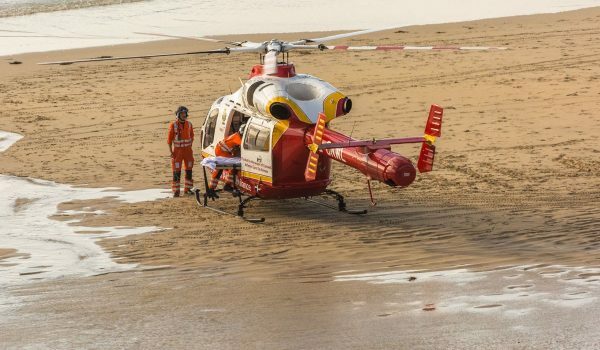 Both helicopters landed on the beach and Dr Dave Ashton-Cleary transferred from the air ambulance to the SAR aircraft. 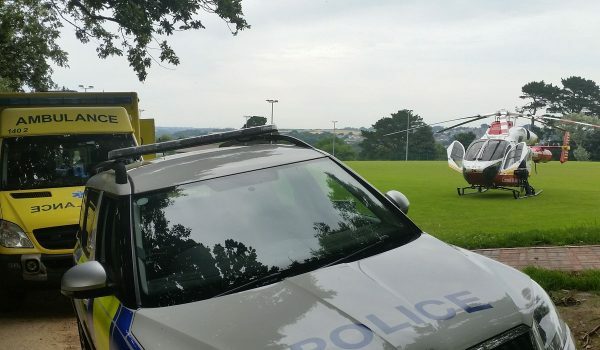 The paraglider was winched and then treated while being flown to Royal Cornwall Hospital at Treliske. 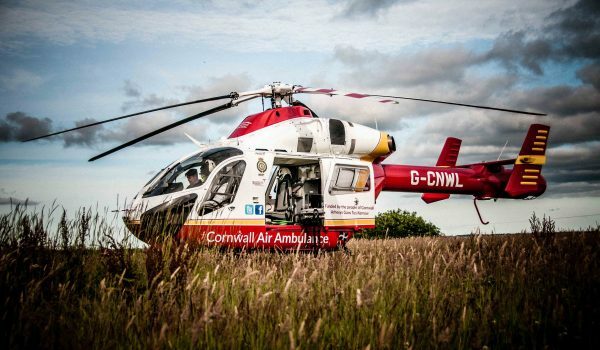 Cornwall Air Ambulance treated an injured paraglider. 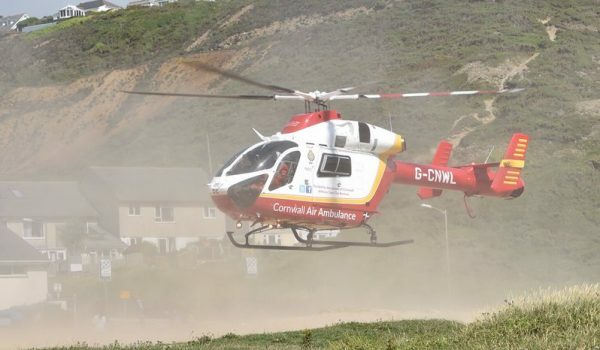 Cornwall Air Ambulance is frequently spotted flying over Newquay due to the proximity of its airbase. 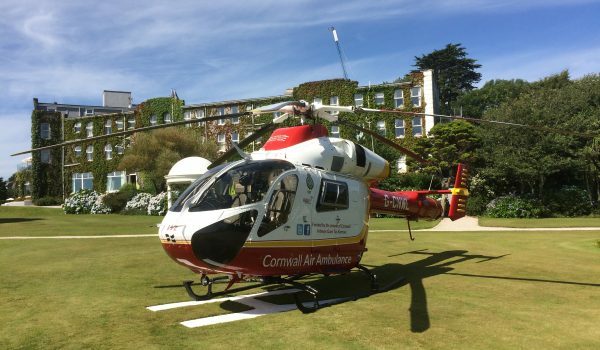 We airlifted a visitor who had suffered a cardiac arrest to Royal Cornwall Hospital in February 2016. 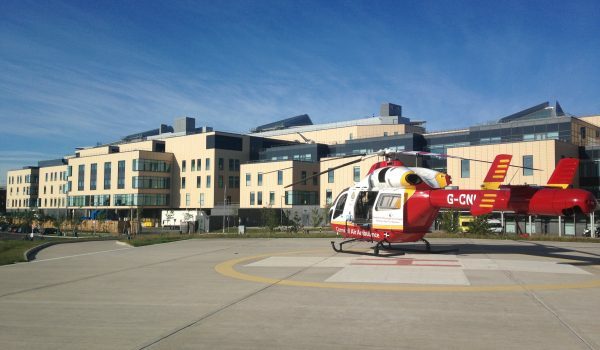 Assisting a lady who went into labour while on holiday. 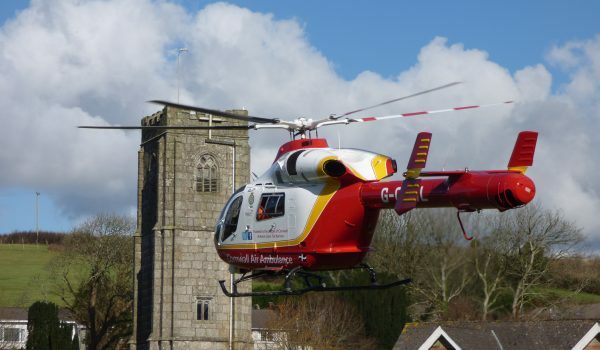 Cornwall Air Ambulance flew to the aid of an elderly man suffering a cardiac arrest in Breage near Helston in July 2016. 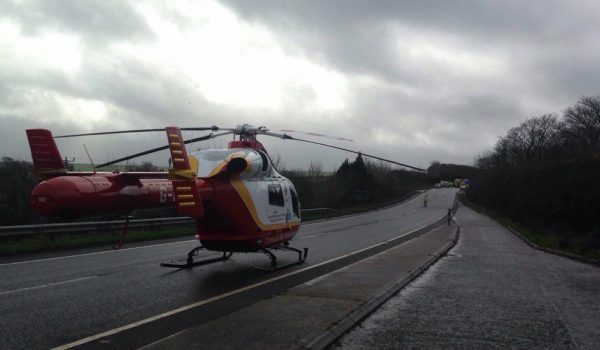 The paramedic aircrew treated him on scene before flying him to Royal Cornwall Hospital in Truro. 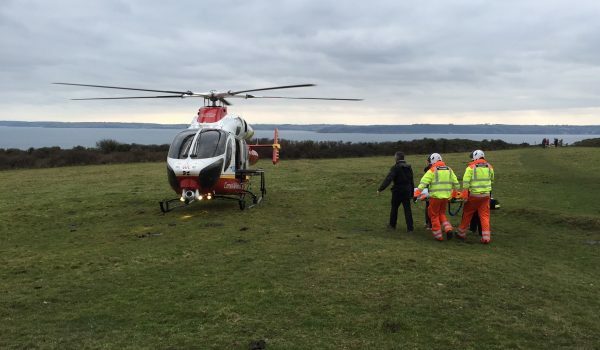 A visitor was trampled by cows in February 2016 so we treated her on scene before flying her to Derriford Hospital in Plymouth. 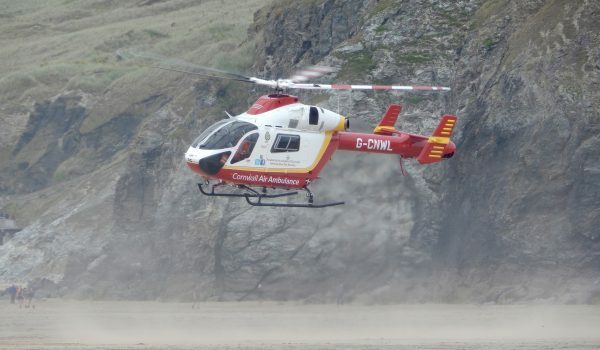 In August 2016 we assisted a climber who had fallen more than 60 feet.